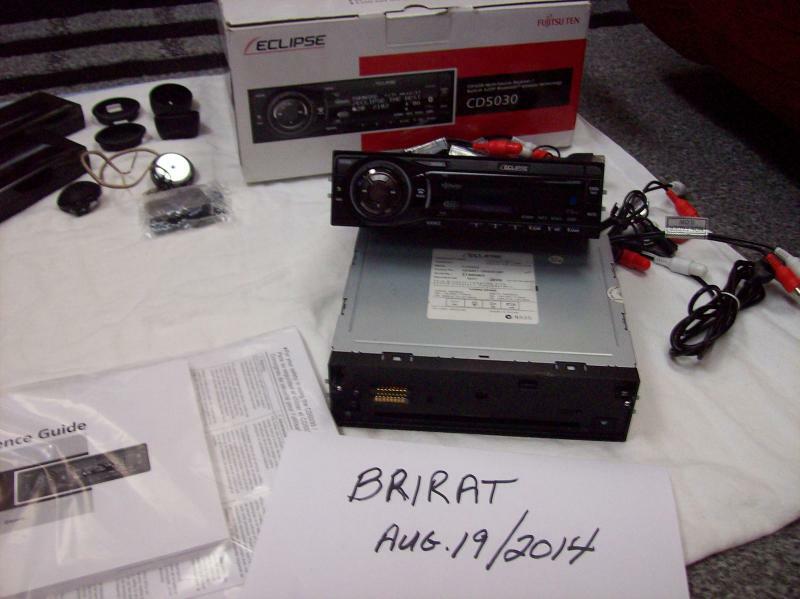 I have a ECLIPSE FREE STUFF for sale. 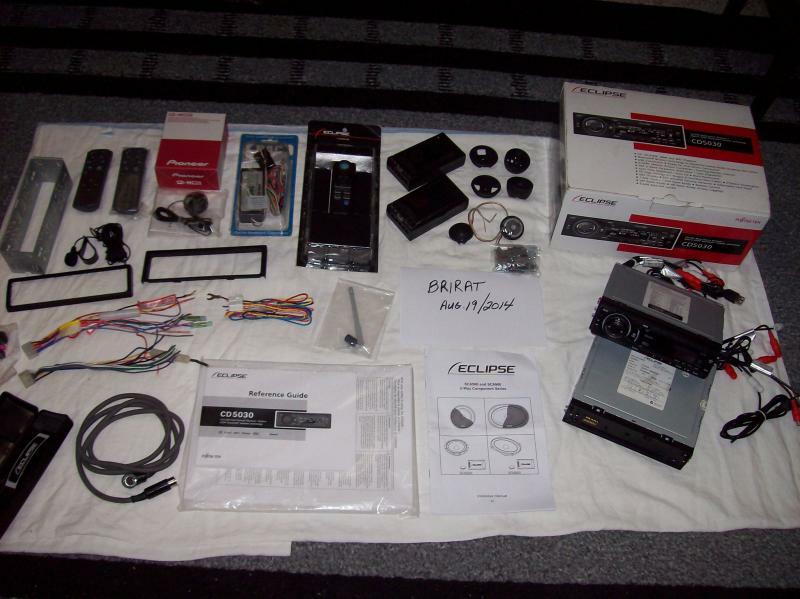 I bought both and they worked for a week each and were then not working. Maybe repairable. Not tampered with. 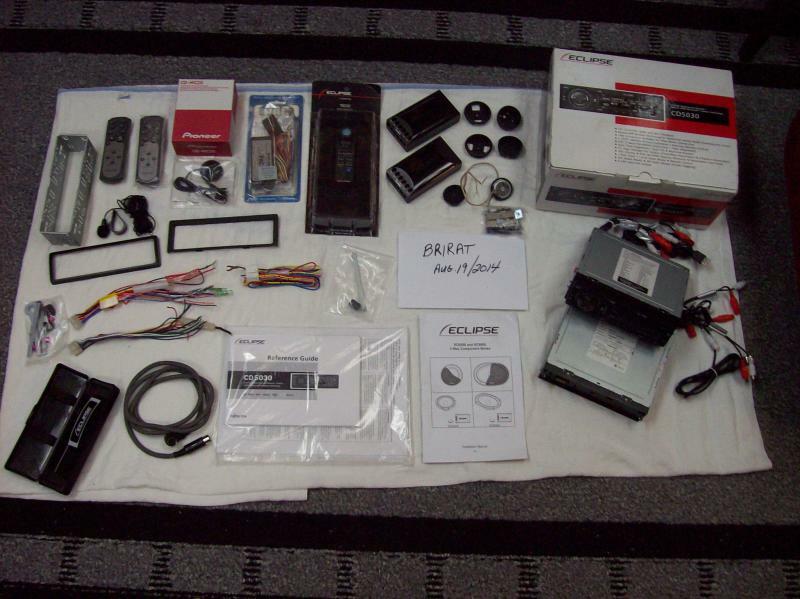 Comes with : (2 new remotes) (1- new 1802 remote) ( 3 wiring harness ) (1 only face plate with case) ( 1 deck sleeve) (1 new bluetooth mic) ( 1 new Pioneer CD-MC20 tuning mic) (2 trim rings) ( 1 new SWI-ECL steering wheel control interface) ( manual ). 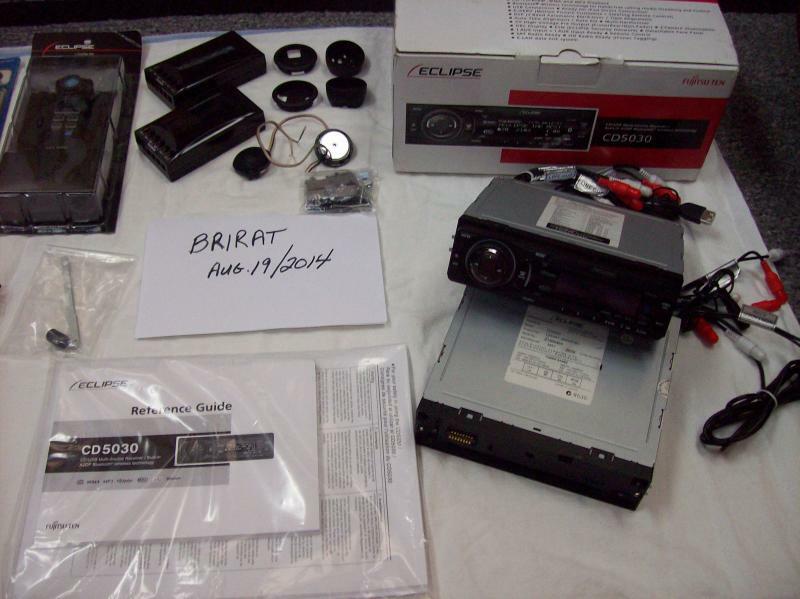 Also comes with a set of new Eclipse SC6900 6x9 crossovers & tweeters and hardware.